The German bassist Peter Kowald (1944-2002) was one of the major figures of Free Improvised Music. 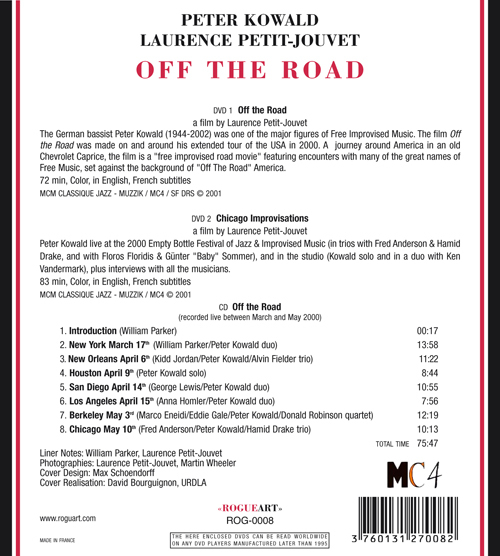 The film OFF THE ROAD was made on and around his extended tour of the USA in 2000. A journey around America in an old Chevrolet Caprice, the film is a "free improvised road movie" featuring encounters with many of the great names of Free Music, set against the background of "Off The Road" America. 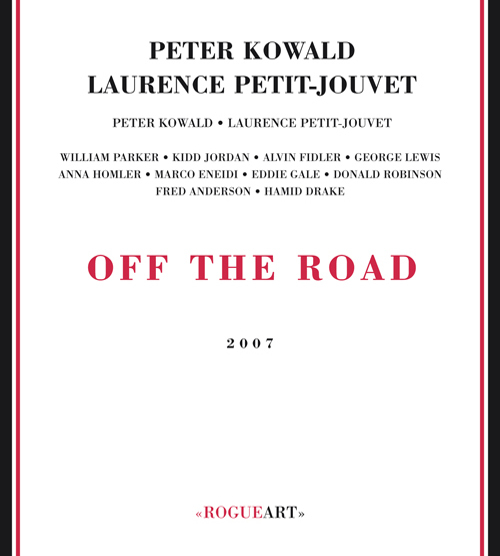 Peter Kowald live at the 2000 Empty Bottle Festival of Jazz & Improvised Music (in trios with Fred Anderson & Hamid Drake, and with Floros Floridis & Günter "Baby" Sommer), and in the studio (Kowald solo and in a duo with Ken Vandermark), plus interviews with all the musicians.